In the UK, we’re pretty much halfway through the school summer holidays now and I can’t believe how quickly the time is going! I’ve been busy getting my little girl’s school uniform ready plus various other bits and bobs for September when she goes back to school. 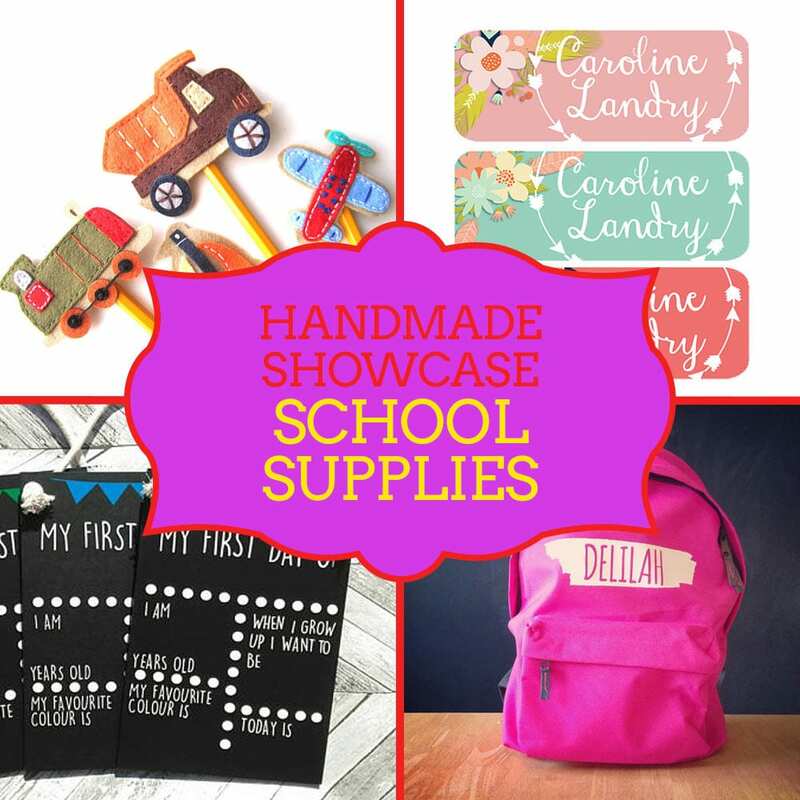 “Back to school” is the inspiration behind my latest Handmade Showcase round up today. I’ve been checking out some really cool and unique back to school items on Etsy, my favourite place to shop for handmade products. Take a look at these from talented makers on Etsy below (click the images or headings to see each item in detail). 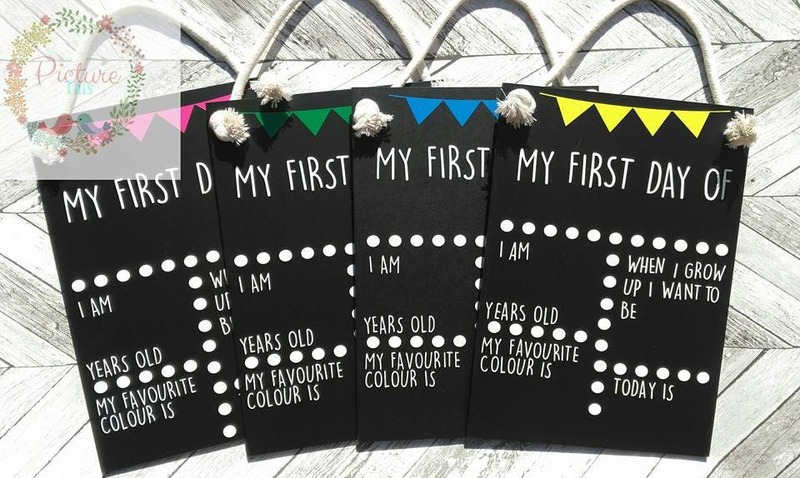 I love this idea – reusable first day chalkboards. What a good way to document key school milestones by filling one of these in each year. Once you’ve finished filling it in and taking a few snaps of your kid with the board, you can erase and use again for next year. 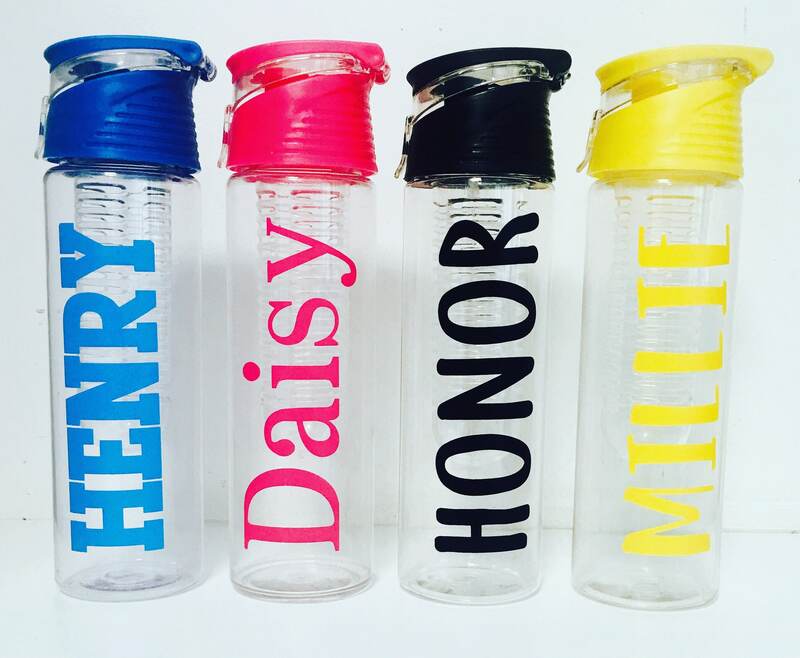 Never get your kid’s water bottle mixed up again with these tall personalised drinks bottles! 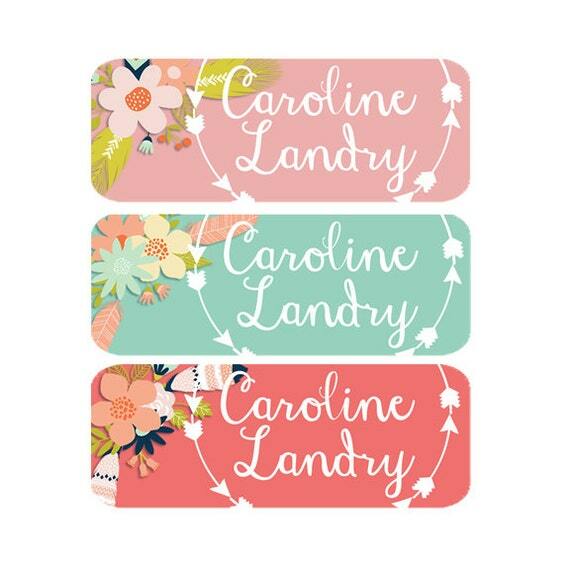 Different colours and fonts to choose from over at this Etsy Shop. 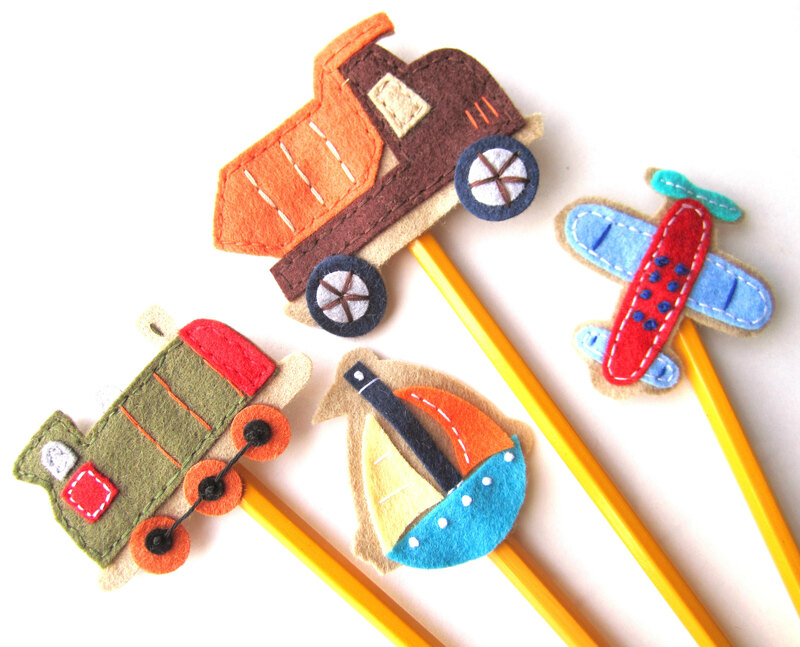 Any little boy would surely love drawing and writing that little bit more if their pencils came with these kind of pencil toppers! Available as a 4 pack. This fabulous school lunch bag comes in bright blue or red and can be personalised. Fully insulated to keep your little one’s lunch chilled. Aren’t these school name labels pretty? 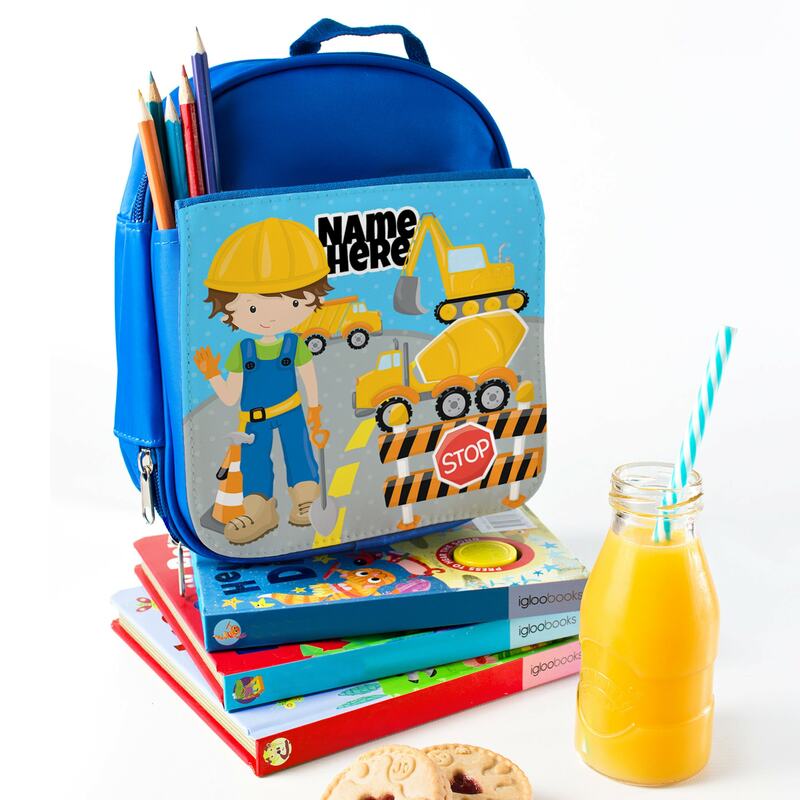 Different types are available, including waterproof, dishwasher safe and iron on – so clothes, lunch boxes and drinks bottles can all be personalised easily. 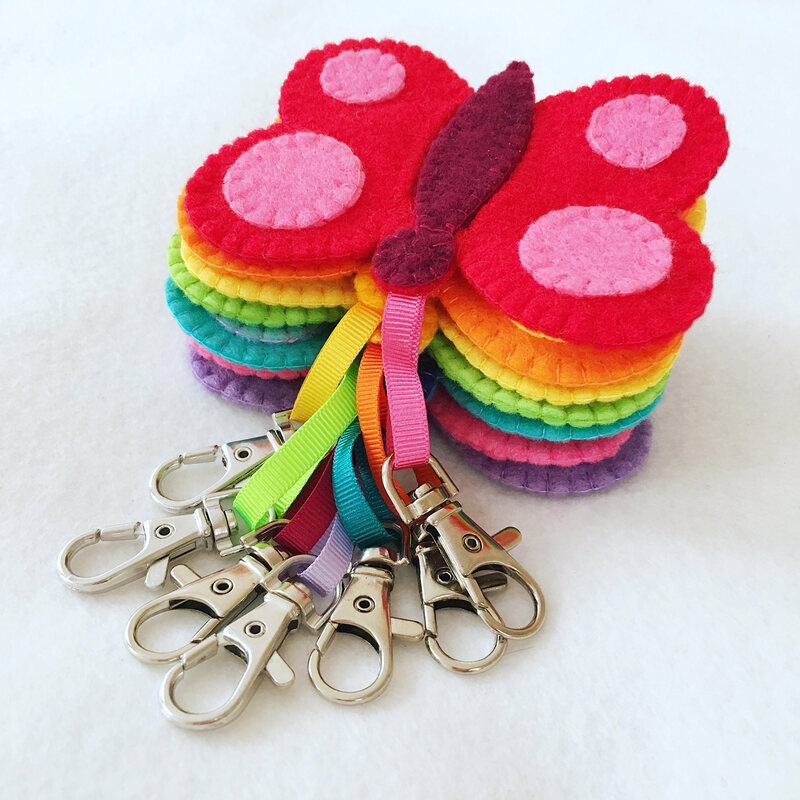 My daughter is really into book bag charms and so these butterfly keyrings caught my eye instantly! 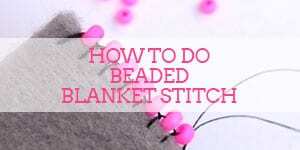 These are made from felt and they have a little storage space included which you can use to store hair clips! 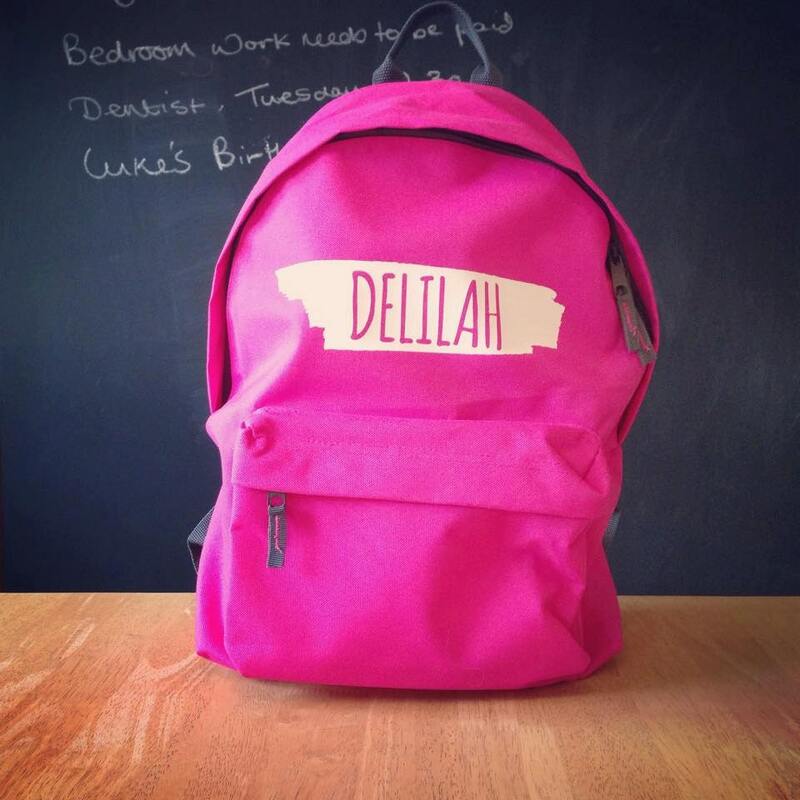 This trendy looking personalised rucksack / backpack is available in a range of colours and would suit kids of all ages! 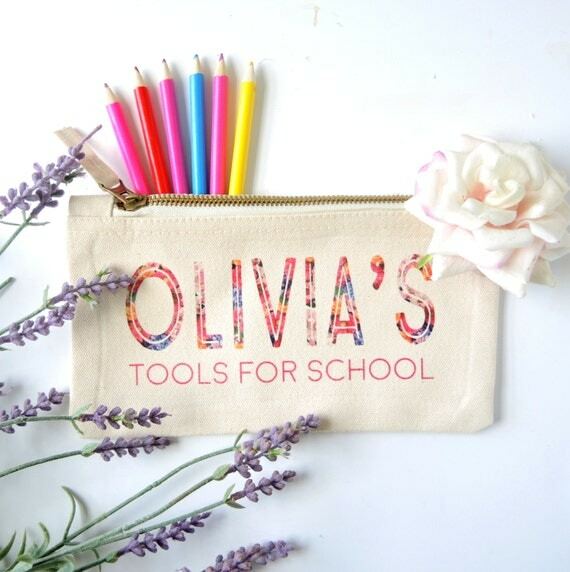 This stylish pencil case is perfect for kids who are a bit older and need to take their own stationery to school. There is a boys’ version available too! What better items to go back to school with? 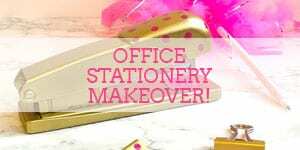 I hope you like these fab “back to school” items as much as I do! Please do check out all of the Etsy Shops mentioned above to find out more about each item you see here, including the price. Plus each shop has a range of even more fun and unique products that I’m sure you’ll find interesting. 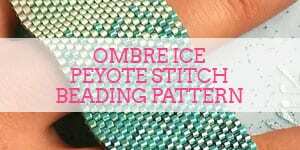 Big thanks to the Etsy Shop owners above who have given me permission to feature them and use their images for this article. 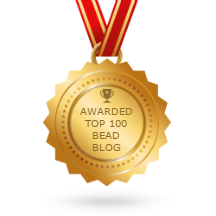 And here’s the full category of handmade showcase posts I’ve done, just in case you want to see more! **All images have been used with permission from the Etsy Shop owners above.